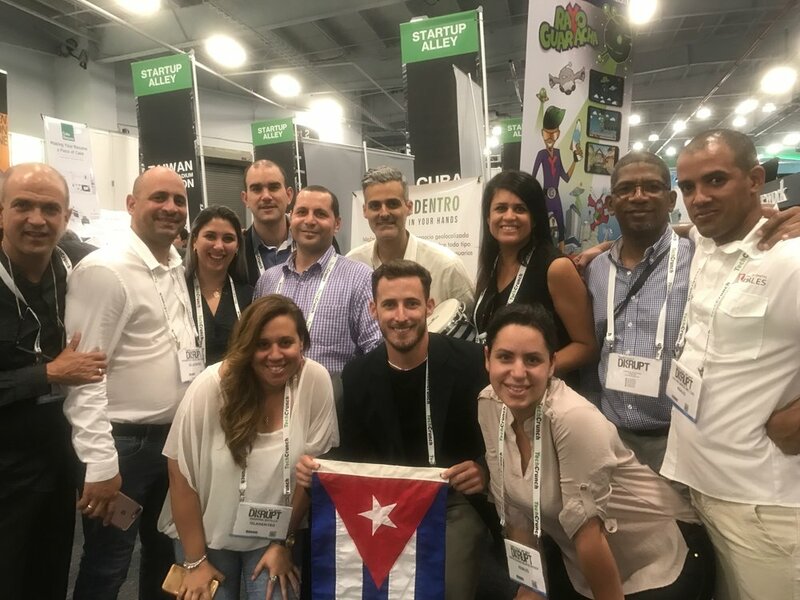 Project Binario helped bring Cuban entrepreneurs to TechCrunch Disrupt NYC, May 15 - 17 2017. There, they formed the first "Cuba Pavilion" as part of the Startup Alley exhibition where they interacted with attendees and displayed how the island is beginning to develop interesting solutions both for domestic and international consumption. ConWiro, Cubazon, Isladentro, Knales, and Kewelta were the startups who represented Cuba at the event. A few of the founders were also invited to speak on the main stage, where they were interviewed by TechCrunch's Editor-At-Large John Biggs. The activity was covered by BBC, CNN Español, El Nuevo Herald, and TechCrunch. Bernardo Romero Gonzalez (Cubazon), Diana Elianne Benitez Perera (Knales), and Carlos Manuel García Vergara (Kewelta) talk to John Biggs about the nuances of burgeoning entrepreneurialism in Cuba.